Stickers are a series of themed art expressing one or more types of emotions. They are a great way to express yourself to your friends and others. Paltalk Stickers come in packs of 10 and can be used anywhere from chat rooms to an IM with one or more of your online pals. Our Stickers cover every possible emotion imaginable and we are introducing several NEW characters to the Paltalk community. Just like virtual gifts, use your Paltalk Credits to purchase Sticker Packs. How do I purchase Stickers? Purchasing Stickers works similar to virtual gifts. button plus in the upper right corner of your pop up sticker window. 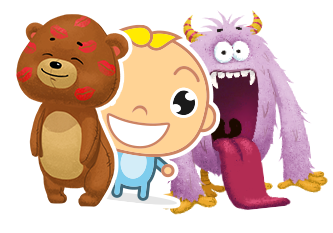 The plus button will launch the sticker selector where you can choose from several sticker packs. To get you started, we have provided you with a complimentary set of Paltalk Stickers. How long do stickers last? Nearly all of our Stickers never expire unless noted and can be used to express an emotion over and over again. They will also remain on your profile and groups pages. Like virtual gifts, the Crown Points received with the gift do expire on a rolling 60-day basis. Sorry, Stickers are not currently supported on Paltalk Express, iPhones and Android phones.